I’ll be brief because my internet connection in Bodhgaya is tenuous. I’ll play catchup once I get home in a little over a week. One photograph cannot begin to do this subject justice but it will have to do. 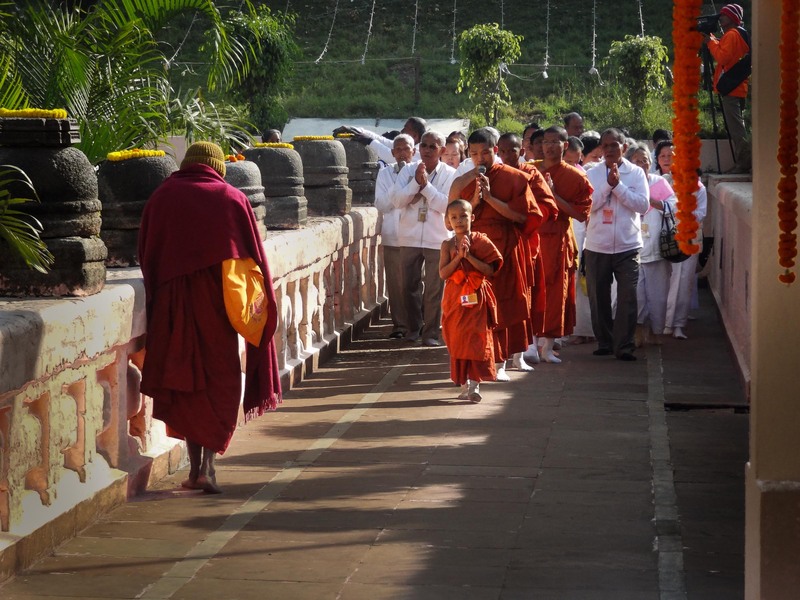 Bodhgaya as the most important of the Buddhist pilgrimage sites is a riot of color and sound and devotion. It has been on my bucket list for a long time and today I explored most of the temples and spent time at the Mahabodhi Temple, a UNESCO World Heritage Site. 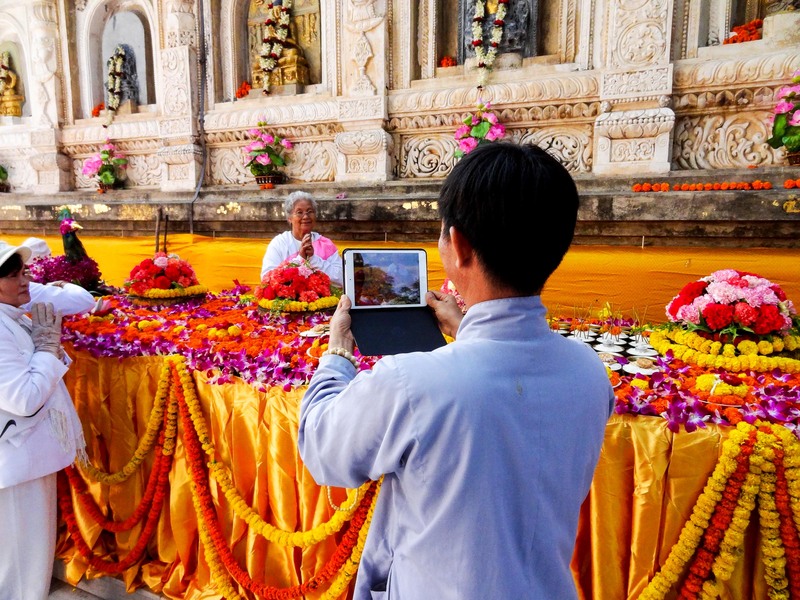 The only thing that was surprising to me was the mixture of the old and new: monks talking on cell phones (mobiles they are called here), monks walking around making movies with their iPads, and the fact that I was the only westerner to be seen for the most part. As such I was a curiosity but that wasn’t a bad thing. Curious also equals friendly and I talked to so many about “America” and what it really is like. I have learned over these past months that all isn’t really that different below the surface. Beneath it all we are all trying to be good and kind people; we care for our families; we try to earn our daily bread in whatever way we can. The superficial stuff will surprise the traveler at first and if you are here but a short time those things will stay in the front of your experience. After a time though comes acceptance and understanding and we can appreciate each other more deeply. Criticism falls away and the good memories remain. 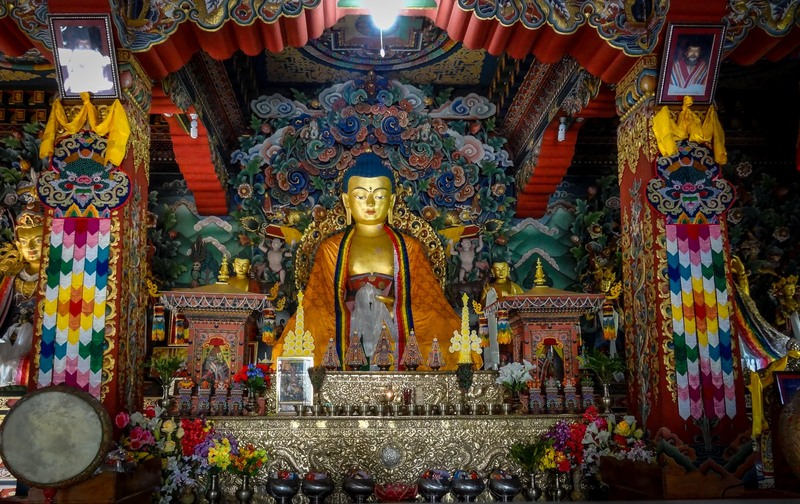 This entry was posted in Bodhgaya, Color, Great Basin, India and tagged Bodhgaya, Buddha, Buddhism, India. Bookmark the permalink. Colorful people, colorful places… the temple is magnificent.